Zen Simple Assise, the network of Sanghas descended from Master Taisen Deshimaru’s Lineage, organizes the so called Mokudo Sesshin, each year at a different Temple on the dates marking the anniversary of the Master’s passing. Joining the energy and experience of the Master’s heirs together with the practice of followers old and new, these encounters are intended to spread the transmitted practice, retaking the spirit of the original sangha. The 2018 Mokudo Sesshin will be held from April 27 to May 1 at Yujo Niusanji Zen Temple, one of the founded by Master Kosen, a Dharma heir of Master Deshimaru. 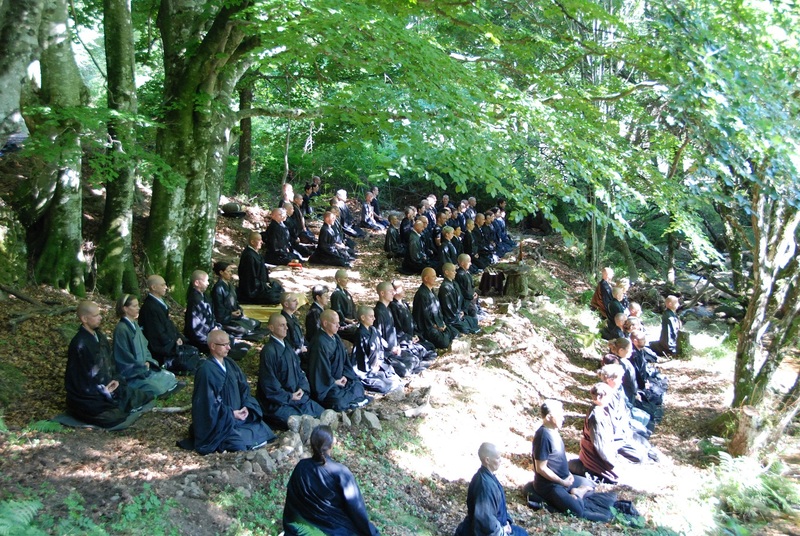 Located within the Haut Languedoc Regional Park, it will provide an excellent setting for practicing Zazen, Samu and Gyoji to many persons having different origins but one spirit.